Bitcoin may be a useful way to send and receive money, but cryptocurrency doesn’t come for free. The community of computer-based miners that create bitcoins uses vast quantities of electrical power in the process. The electric resource-heavy process has led some experts to suggest that bitcoin isn’t very environmentally friendly. So how much electricity does a bitcoin take to produce? Written testimony presented to the U.S. Senate Committee on Energy and Natural Resources in August 2018 claims that bitcoin mining accounts for about 1 percent of the world's energy consumption. Bitcoins are mined by getting people around the world to try and solve the same mathematical puzzle using computers. Every 10 minutes or so, someone solves a puzzle and is rewarded with some bitcoins. Then, a new puzzle is generated, and the whole process starts over again. As more people learn about bitcoin and get interested in mining, and as the bitcoin price increases, more people are using their computers to mine bitcoins. As more people join the network and try to solve these math puzzles, one might expect each puzzle to be solved sooner, but that doesn’t happen. The software that mines bitcoin is designed so that it always will take 10 minutes for everyone on the network to solve the puzzle. It does that by varying the difficulty of the puzzle depending on how many people are trying to solve it. In other words, although the time taken to produce a bitcoin doesn’t vary, the computing power used to produce it does. As more people join the bitcoin network and try to mine bitcoins, those people use more computing power, and therefore more electricity, for each bitcoin produced. To understand how to calculate the electrical energy used to power the bitcoin network, you'll need to understand how bitcoin creation works. One way to look at it, in terms of the amount of electricity used, is to calculate how many sums are conducted every second to solve bitcoin’s mathematical puzzles, and then to find out how much electrical energy it takes to do each sum. These individual sums are called hashes, and there are vast numbers of them—so many, in fact, that you have to think of them in terms of millions of hashes (known as megahashes) or billions of hashes (gigahashes) to make any sense of them. As of 2018, the computers on the bitcoin network were doing 342,934,450 gigahashes per second. There are lots of different bitcoin mining computers out there, but many companies have focused on Application-Specific Integrated Circuit (ASIC) mining computers, which use less energy to conduct their calculations. Mining companies that run lots of ASIC miners as businesses claim they use one watt of power for every gigahash per second of computing performed when mining for bitcoins. At this rate, the bitcoin network runs at 342,934,450 watts—roughly 343 megawatts. Calculations based on EIA data reveal that the average U.S. household consumes about 1.2 kilowatts of power, meaning that 343 megawatts would be enough to power 285,833 U.S. homes. That’s quite a lot of energy—for a frame of reference, that equates to about a third of the homes in San Jose, California. Since 1 watt per gigahash/second is pretty efficient, it's likely that this is a conservative estimate. Also, a large number of residential users take more power to run their miners. Media outlets and blogs have produced various estimates of the electrical energy used in bitcoin mining. Some decry bitcoin as the end of the world as we know it, while others argue that the claims about bitcoin’s energy consumption were overblown. This discussion is relative because the bitcoin network itself has inherent value as a secure payment mechanism. The price to put on that in terms of energy consumption depends on how useful one thinks it's going to be to society. The problem with estimating bitcoin’s energy consumption, and then judging it, is that it will change over time. The hash rate on the network—that is, the computing power that people are spending on it—has grown drastically over time and tends to fluctuate with bitcoin’s price. If, as some suggest, bitcoin rises rapidly in price, how much more juice will it consume? To perform a cost calculation to understand how much power it takes to create bitcoin, first, you'd need to know electricity costs where you live. In 2017, the Crescent Electric Supply Company did a state-by-state breakdown of how much it costs to mine a single bitcoin. Louisiana came in as the cheapest location at $3,224, while Hawaii was the most expensive at $9,483. 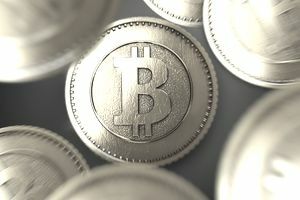 As of September 2018, bitcoin's exchange rate was valued at about $6,700 for a single bitcoin, which shows that doing the work in an area where energy costs are very low is important to make the practice worthwhile.